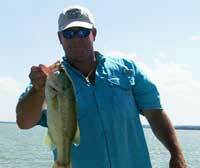 Here are some Lewisville Lake Fishing Guides who are eager to take you fishing on Lake Lewisville. These professional Lewisville Lake fishing guides can help you catch that trophy fish or at least enough fish for a fish fry. Listed here are some of the best fishing guide services on Lake Lewisville, give them a call and you are on your way to a great day of fishing. Good luck. Fishing is Bob's full time job and passion. It is contagious. 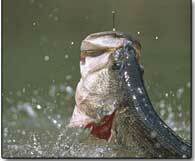 You will not only have a chance to land a “big one” but you will learn things that you did not know before your trip. He stays on top of all the latest fishing tackle and techniques. 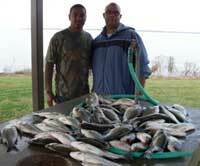 Bob will furnish rods, reels and lures if you don't have or want to bring their own. He can also arrange for lodging at/near the lake chosen to fish. "Over the years, I have learned that if you know the proper techniques, and when and how to apply them, you can become a successful angler on any lake or body of water." As a licensed fishing guide, David promises to share his knowledge of fishing using only the best equipment to provide you with a fishing trip of a life time. If you are looking to get your line stretched and catch the catfish of a lifetime then call Chad Ferguson now and book a guided catfish fishing trip for Trophy Blue Catfish!